Chile shows strengths across the board, with the notable exception of Human capital and research (75th), where it comes only in 6th position out of 22 in the region, a result in line with the crisis of tertiary education in the country that was highlighted in 2011.Deficiencies are particularly evident in primary and secondary education, where it ranks 78th in public expenditure per pupil over GDP per capita and 103rd in the pupil-teacher ratio. In the region, it tops the Input Sub-Index (43rd), the Output Sub-Index (34th), Institutions (29th) and Creative Outputs(18th). He left everything he had to his family, with 62.5 percent going to his widow Lucia Hiriart, 25 percent going to his five children, Lucia, Augusto, Veronica, Marco Antonio and Jacqueline and the remaining 12.5 percent to their children and grandchildren. But what that legacy consists of is still a mystery. General Augusto Pinochet’s will was opened in a Santiago court on Wednesday, and officials hoping to learn more about the suspiciously large fortune he accumulated found no information about his property, goods or bank accounts. “The will makes reference to a distribution of goods without specifying anything registered under the name of Augusto Pinochet,” notary Humberto Quezada told reporters. Five years ago Pinochet’s widow, children and several associates were indicted on charges of misappropriating at least $20 million from government funds and all but Lucia Hiriart (who was rushed to a military hospital) spent two days in prison. The charges were later dropped when the prosecuting judge retired from the case. But it isn’t over yet. While the Pinochet family did not want the will opened at all, the Chilean Defense Council of State hopes to recover any illegally obtained funds from the estate. Last April a court opened what was supposed to be Pinochet’s last will, signed shortly before his death in 2006, but that document contained only a statement changing his executor. This earlier version of the will, signed after Pinochet was released from detention in London, was drawn up in 2000. So what now? Authorities say they will continue to investigate. 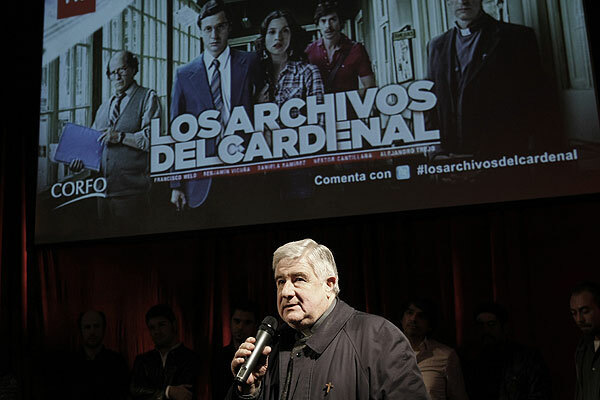 Father Cristian Precht at the premier of Los Archivos del Cardenal, a Chilean television drama based on the work of the Catholic human rights group he led during the Pinochet regime. He headed the Vicariate of Solidarity, the Catholic Church’s human rights department during the Pinochet regime, directing a team of lawyers, social workers, researchers and volunteers who documented thousands of abuses and extended help to victims of those abuses. But it seems that Father Cristián Precht may have had his own dark side: the Archdiocese of Santiago has received at least 20 accounts of sexual abuse dating back to the 1980s. 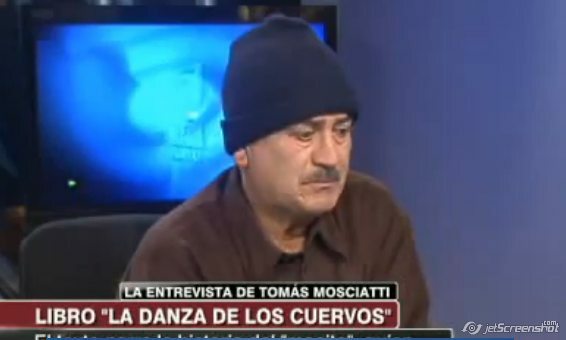 According to a statement released by the Chilean Bishops Conference, http://documentos.iglesia.cl/conf/documentos_sini.ficha.php?mod=documentos_sini&id=4170&sw_volver=yes&descripcion= the investigation began when a witness came forward in late August of last year. Precht was ordered to “restrict the public exercise of his ministry” during the inquiry. More witnesses came forward, and the report compiled by two church investigators has been sent to the Vatican for further action. It is a bitter irony that shortly before church officials began their investigation, Precht appeared at the premier of Los Archivos del Cardenal, a critically acclaimed television series based on the Vicariate’s work during the dictatorship (see early blog post https://notesontheamericas.wordpress.com/2011/09/02/nocturno-de-chile/). The president of the Agrupación de Familiares de Detenidos-Desaparecidos, Lorena Pizarro, told reporters that if the accusations are true, “then it is an absolute outrage.” A lawyer who worked at the Vicariate observed that the Pinochet regime’s secret police kept Precht and everyone else in the human rights entity under close surveillance and would have been aware of his actions.